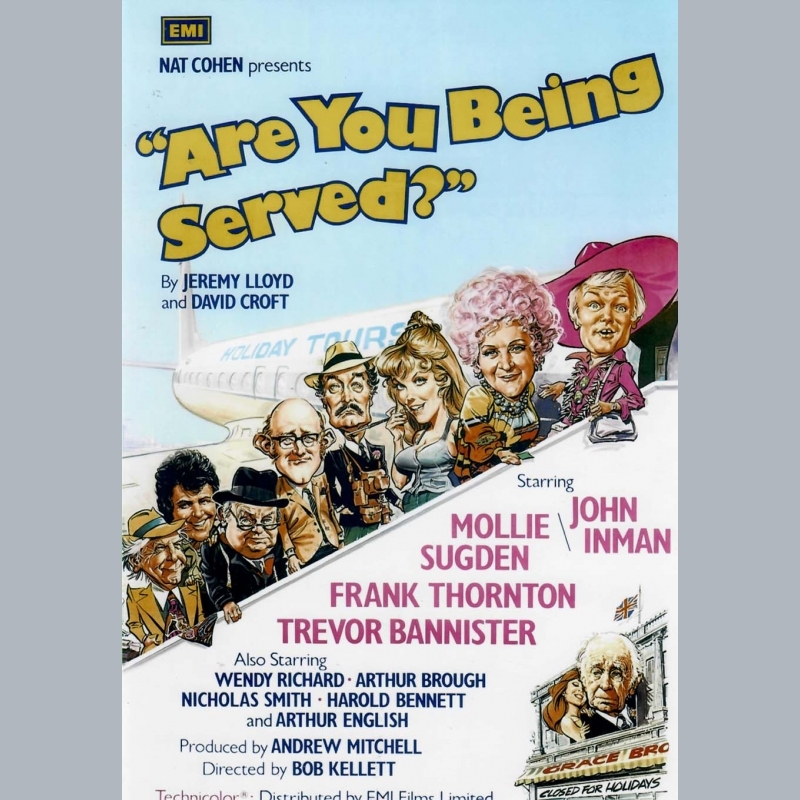 We have no related items for Are You Being Served. 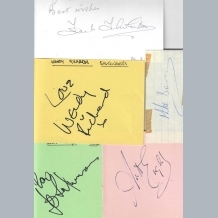 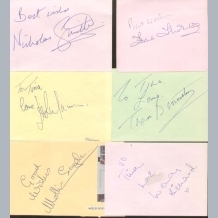 A collection of all six main characters original signatures on autograph book pages ; Mollie Sugden d2009 (Mrs Slocombe) / Trevor Bannister d2011 (Mr Lucas) / Frank Thornton d2013 (Captain Peacock) / John Inman (Mr Humphries) d2007 / Wendy Richard (Miss Brahms) d2009 and Nicolas Smith (Mr Rumbold). 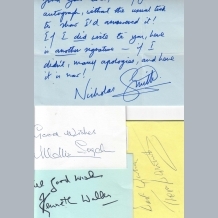 As of 2014 Nicolas Smith is the only surviving member of the original cast from the first pilot in 1972. 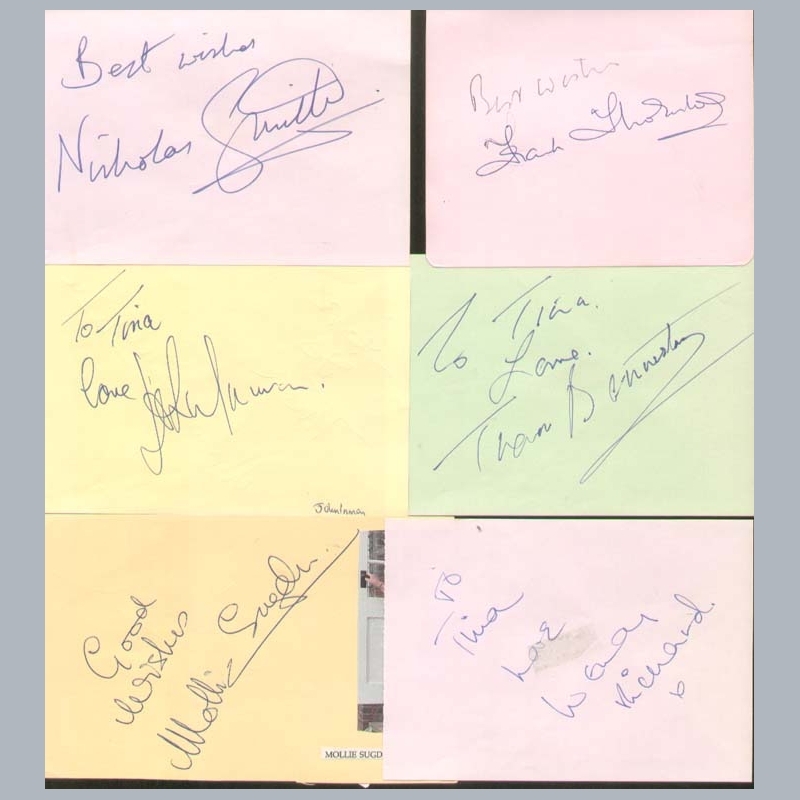 NB ; Dedications (To Tina) have all been matted out. 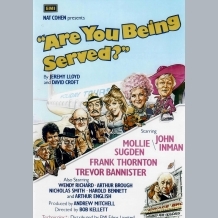 We have no videos for Are You Being Served.